I must tidy up this mess. We’ll put it away later. 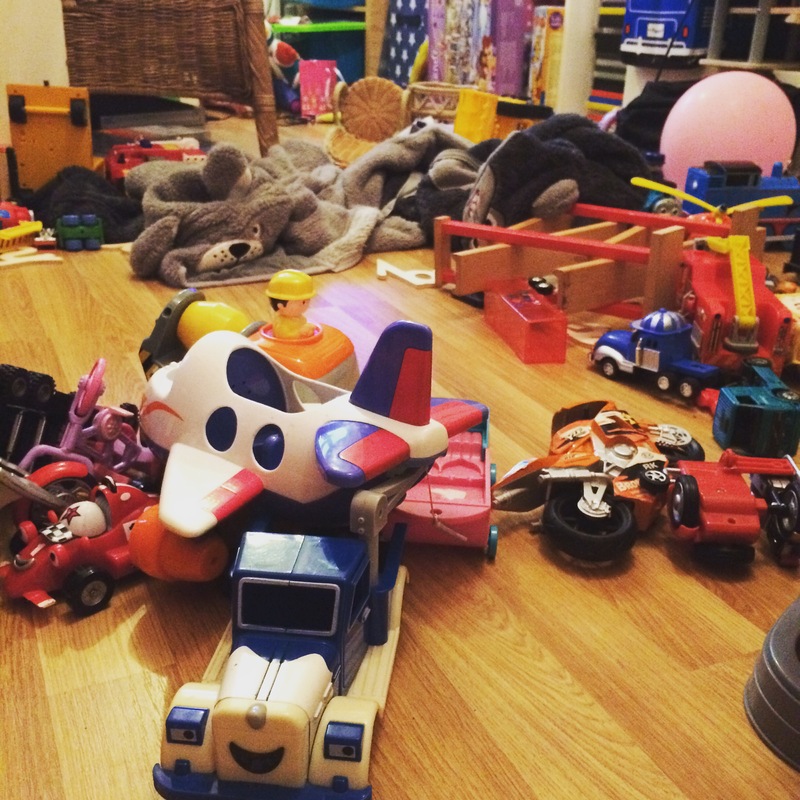 Why are your toys still strewn? The state the house is in. Or I am doing it now. And now they’ve gone to bed.